As a director of development, I spend a good portion of my days talking with donors or potential donors about what my organization wants, needs and /or accepts for in-kind donations. These are the donations of goods or services and not money. In my book, Simple Giving: Easy Ways to Give Every Day, I talk about how I’ve had to turn down donations in the past because my organization just couldn’t handle them. Either we didn’t have the storage or there were health concerns with taking certain used items into a 24-hour residential facility. Or we just flat out didn’t need the items. Sometimes donors would get frustrated because they really just wanted to give back, and I was on the other end saying no. The disconnect between these well-meaning donors and the organization that had other needs led me to further explore the topic of philanthropy and how we can all be better givers in everyday life. Fast forward a few years and a different organization, and I still say no to donations for the same reasons. My response is usually to thank the donor for thinking of my organization and to re-direct them to another organization that might utilize their gift and to communicate what we truly need. I am fortunate to work for an organization that receives a good amount of donations throughout the year. Interestingly enough, I see a lot more donations now that I work in homelessness and not substance abuse, though these often go hand in hand. But that’s an exploration for another day. 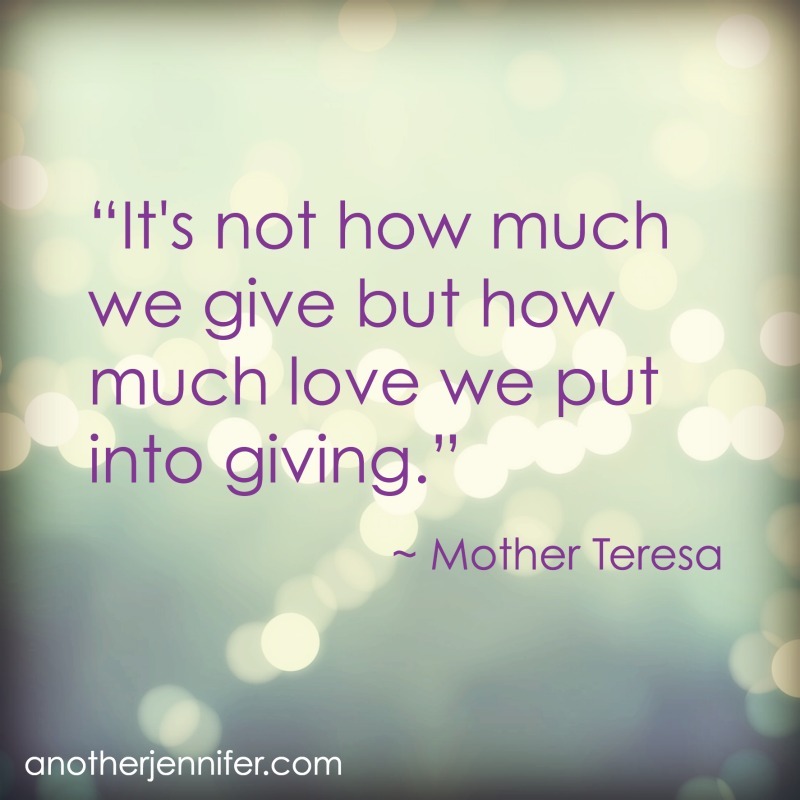 Since I’ve been talking with a lot of wonderful donors lately, I thought I would share with you a few tips on how to make your in-kind donations have the most impact in your community. It’s actually pretty simple, though I’m not sure people think about the ins and outs of philanthropy quite as much as I do. Think about who you want to help with your gift. Whether you have hand me down clothes, old books you aren’t reading anymore or some time to help out with manual labor, to make the most impact with your gift you want to choose an organization that aligns with your own personal values. Who or what do you want to help (people, animals, the environment, etc.)? If you don’t have a favorite local nonprofit, do some research online or ask your friends. Read their mission and see if it moves you. There’s nothing wrong with places like Goodwill or the Salvation Army, but too often people just dump their stuff at these places without much thought. Sure you get rid of stuff, but do you feel like you are making a difference? Don’t dump and run. It’s amazing to me that people will just bring their stuff to an organization and leave it there without talking to anyone. What would you think if someone dumped their stuff on your lawn? How comfortable would you feel going through it and using it? Yet, this happens to nonprofits all the time. Unfortunately, this tactic often costs the organization time and money because the items are often donations that aren’t accepted and thus need to be disposed of. One man’s trash isn’t always another man’s treasure. When in doubt, call the director of development! A lot of people want to help and have very specific ideas in their mind on how to do so. Some of these ideas work and some don’t, depending on an organization’s capacity and need. I’ve seen posts on Facebook, for example, that suggest making bags filled with toiletries and handing them out to homeless women on the streets. This idea sounds great, but most women who are homeless are not out in plain sight. My organization has two homeless shelters for adults and families in the town in which I live. A tourist driving through my town is going to notice a beautiful historic downtown and a private college, not homeless people. Not to mention the fact that our adult shelter houses 12 men and only 4 women on any given night. Do you want to know what we need? Disposable razors. The men need to shave and we go through them like crazy. Before reading this post would you think about buying razors and bringing them to your local shelter? Probably not. Bottom line, give us a call. We’ll tell you exactly what we need. And we love talking to donors because we can work together to further our organization’s mission. How cool is that? I could go on, but these are the most basic ways to approach donating in-kind goods to a nonprofit. The only other thing I might add is that take a look at the items and make sure you’d use them yourself. You might not need them anymore, but if you are truly grossed out about your old couch, please take it to the dump. Great advice. We recently had a charity request for a women’s shelter near my girls school for tampons and pads. Not something I ever would have thought to give (like razors) but I can clearly see why they would be needed!! Yes! We often need tampons and pads for the women at the shelter and the homeless teens we work with. Sometimes it’s the simplest things that make the biggest difference.